Clean Up, Then Eat Up! Start off your Sunday by lending a hand to keep Mario Lanza Dog Park beautiful, then follow it up with a delicious dog brunch at the Twisted Tail, in Head House Square. 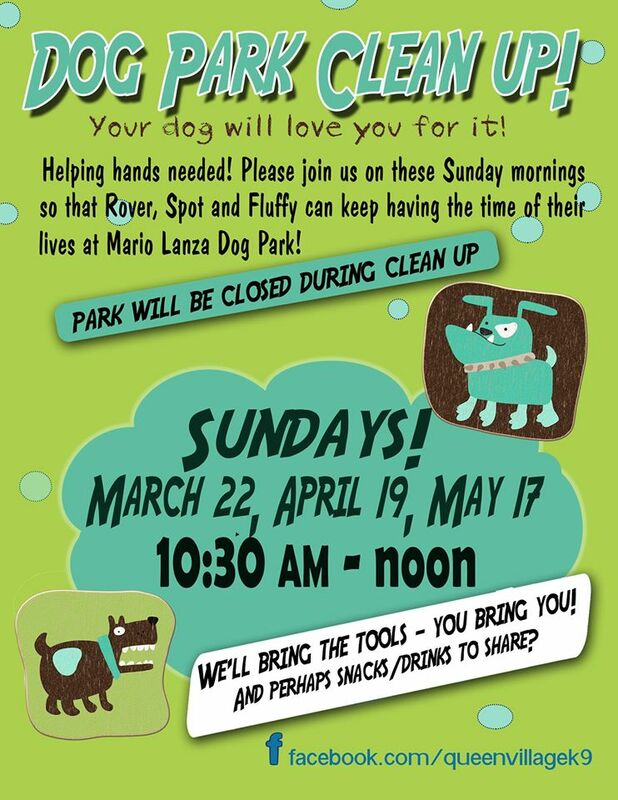 Swing by Mario Lanza, grab a donut and a coffee, and rake your way to a beautiful dog park in no time under the beautiful spring sun. 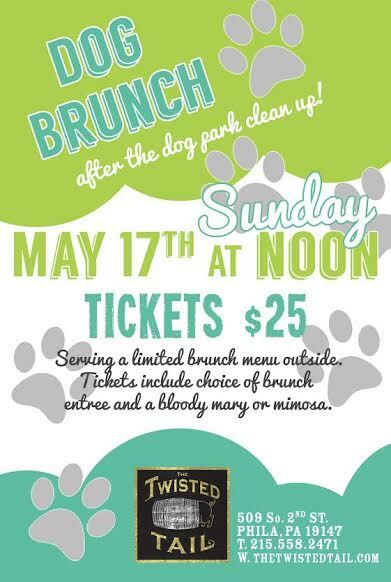 Reward your hard work with a delicious dog brunch at the Twisted tail. Pick from an exclusive list of brunch options, while you enjoy cold adult beverages outdoors on the patio with your dog & friends. RSVP to bark@qvk9.com to reserve your spot now. Hurry, only 25 seats are available. Thanks for staying. We look forward to seeing you and your pup for this exciting day. Woof! Prev Chapter: The 2015 Yappy Hour Schedule Is Out!